This afternoon saw the first of the local consultation meetings on the future of the South-East London NHS arranged by Special Administrator Matthew Kershaw. The room at Greenwich West Community Centre had space for about 200 people but was barely a quarter full. The most dramatic but least useful part of the meeting occurred when a member of the audience declined to ask a question but instead mounted the platform, microphone in hand, and proceeded to stand right behind Kershaw and his female colleague haranguing them in a rather unpleasant and aggressive manner. Before and after this intervention I thought Kershaw and his team gave a reasonable account of themselves before an unsympathetic audience, trying to answer all the points made but probably without convincing anyone of their case. They insisted that their proposals took account of likely population growth in the area. Kershaw declined to give a view on the principle of PFI but said that he has made confidential recommendations to the Department of Health which might lead to discussions with the PFI provider. One West Greenwich resident said that her young son had been admitted to Lewisham Hospital as an emergency on several occasions and she was worried about the logistics of visiting him if he had to be admitted to QEII in future. She got a rather grudging admission that “a small minority” of patients with specific conditions might have to face longer journeys like this. A well-informed woman from the National Childbirth Trust suggested that a four maternity unit solution would result in units very large by European standards and that evidence suggested that bigger maternity units were not necessarily better. She was effectively told that the review team had not completed their homework on the best size for maternity units. Former Lewisham Mayoral candidate John Hamilton of the People Before Profit Party claimed never to have heard of Oxleas NHS Foundation Trust and asked whether it was a private health provider, I assume he was being disingenuous rather than profoundly ignorant. Greenwich Councillor John Fahy asked a question which I think suggested - and apologies if I misunderstood him - that he would welcome a solution whereby Bexley patients travelled to Lewisham or Woolwich for day surgery. The author of this post is Paul Webbewood - a former Liberal Democrat councillor on Greenwich Council. Paul Webbewood: Mayoral inauguration – cui bono? As has been noted elsewhere and despite rumours to the contrary, Greenwich Council has decided to go ahead with this year’s elaborate and expensive Mayoral Inauguration ceremony in the Painted Hall at the Old Royal Naval College. As a councillor I attended this event for the last five years but it is not just sour grapes at having fallen off the guest list that makes me call for the Council to save most of the £30,000 cost and do something cheaper this year when so much else is being cut. The purpose of the ceremony is for the outgoing mayor, who is the official host, to hand over the baton to her successor. Both make a brief speech and there is usually a pleasant musical interlude from local performers. If this was all that happened then the Council’s recent claim that the Inauguration is a “determinedly non-political event” might have some merit. However probably the longest single item and certainly the longest speech is always an address from the Leader of the Council Chris Roberts. Chris can be relied upon to give an upbeat survey of what is happening in the Borough, reasonably dignified and non-partisan but with an “aren’t we doing well” flavour and thus clearly political. Last year he greeted the change of Government with an assurance that there would be no 1980s style defiance or refusal to set a Council Tax while he was in charge - a welcome and sensible position in my view, but hardly non-political. His speeches belong in the Council Chamber where they can be challenged and not at a “determinedly non-political” function. The first time I attended in 2006 the two Opposition leaders also spoke but in subsequent years, for reasons never properly explained, they have not been allowed to do so. Naturally this led to some ill feeling among councillors and to a suspicion that Chris Roberts now genuinely believes himself to be above politics or that - to paraphrase Tony Blair - he considers the Labour Party to be the sole political arm of the Greenwich people. Greenwich Council has for example withdrawn support for the Blackheath fireworks, withdrawn its funding for Blackheath Halls and is threatening to close the zoo in Maryon Wilson Park. It may be that these are unpleasant necessities so that it can continue providing life and death services to vulnerable people. But they give pleasure to thousands whereas the invitation-only Painted Hall ceremony does not . There are 40 Labour councillors - will any of them be brave enough to publicly speak out against this abomination? Paul Webbewood is a former Liberal Democrat councillor. Paul Webbewood: Need somewhere to live? Council housing has a long and honourable history in Greenwich. According to Nikolaus Pevsner the earliest such housing in the Borough was the now highly des res Hardy Cottages off Trafalgar Rd built by the London County Council in 1901. My grandparents lived for many years in an inter-war council semi near Eltham Green, with a back garden sufficiently large that any 21st century planning application would put three town houses on it. So local politicians may well feel the hand of history on their shoulders when they discuss council housing. Eltham Conservatives allege that Clive Efford’s successful defence of his seat was helped by misleading claims that a Conservative Government would increase rents and end security of tenure cease for existing tenants. After many years when councils were unable to build any new housing, an excellent scheme from the Labour Government provided funds for small scale schemes on spare bits of land already in council ownership. Greenwich took up this opportunity, sometimes using derelict garage areas without any problems. However in a few cases the Council seemed in too much of a hurry to get building and chose to develop sites of doubtful suitability. One such in my view was in Woodlands Park Rd SE10 where six houses have now been built. Was I right to vote against this development? Nos 63-73 Woodlands Park Rd are decent size family houses and fit in quite well to the street scene. However they were built on a piece of open space in a crowded area . Although this space included a ball court which had generated complaints, as a whole it was valuable and is now lost for ever. The new houses are also rather alarmingly close to the down platform of Maze Hill Station and I doubt that the residents will be keen to have their back windows open in summer. On the whole I think I was right to oppose the development. And there’s something wrong when the council is scratching around to build new housing on contentious sites, while its best buddy Berkeley Homes is openly boasting about marketing homes on its new Kidbrooke development to “in case their children want to come and study in London”. Indeed while the new development will be twice the size of the old Ferrier Estate there will be significantly fewer homes on it purely for rent. The balance of the social housing will comprise “intermediate housing” which probably won’t help anybody with a household income of under £20,000 a year. Another recent development is Meridian Home Start Ltd. This is a new company owned by Greenwich Council (Director C.J Roberts Esq) which will rent properties to tenants at significantly above the council housing rate but below the market rate. Meridian started with a portfolio of 28 properties, five of which were ex-council houses which had been sold off over the years and now bought back on the open market. This sounds a good idea. However the remaining 23 were already owned by the Council. These properties are dotted around the Borough with a concentration in Wyndcliffe Rd SE7 between Charlton Rd and Wyndcliffe School which were formerly used for temporary accommodation. I’ve heard nothing to convince me why these 23 should go into the higher rented sector rather than be used for people on the council’s waiting list. So all in all it’s good news if you’re in Singapore with money to spare, perhaps less so if you’re in housing need in Greenwich. Paul Webbewood: Cuts – mind your own business! Although I am a supporter of the Coalition Government, I worry about its approach to local authorities. While Nick Clegg fiddles around with alternative voting and House of Lords reform, Eric Pickles seems free to burn and slash his way through England’s town halls. However after being given a chance to occupy the moral high ground Greenwich Council is determined to vacate it. The Council seems reluctant to take local people into its confidence over proposed cuts in services or to offer any comprehensive strategy. Its initial approach is to nibble at things which, although not life and death, add to the quality of life in the Borough - Blackheath Fireworks, Maryon Wilson Zoo and now Blackheath Halls - and at least in the case of the fireworks the timing of the announcement to stop funding was at best incompetent and at worst malicious. And we still haven’t officially heard whether Greenwich will implement the one cut that almost everybody wants - the £30k spent on the invitation-only Mayoral inauguration. Another example of the Greenwich Way occurred on 21st February when the Council’s Overview and Scrutiny Committee (O&S) commenced a marathon task of hearing representations from voluntary bodies whose grant may be removed or reduced. Effectively O&S has been asked to quality review the process adopted by the Council’s executive. Now all credit to the O&S councillors for putting in the hours and there seems to be some merit in the idea. However this was negated by a unanimous vote by Labour and Conservative members to sit in secret, using a procedural device usually adopted when a committee is considering commercial tenders. Although there is an element of competition for the available funds, it seems far-fetched to claim that commercial confidentiality is involved when the Council decides how it allocates grants to voluntary organisations. In the past similar representations have been heard in public. However this time O&S chairman Councillor Mick Hayes (Labour) - normally a genial and popular figure - seemed rather put out when he was told that the Committee could vote on going into secret session, rather than meekly obey a recommendation to do so. This seems part of a pattern of obfuscation. On February 14th the BBC 10 o’clock News ran an item on the cuts with Greenwich as a case study. There were contributions from voluntary sector supremo Naomi Goldberg, Mark Sesnan of Greenwich Leisure Ltd, a possible Big Society prototype, Union man Onay Kasab, plus Nick Raynsford MP. No contribution from the Council who had declined to speak to the Beeb. Don’t ask me why they passed up on the opportunity to address an audience even larger than the local blogosphere or that reached by Greenwich Time’s distribution network. 2) Save money by working with neighbouring Councils. In Lewisham Mayor Bullock has launched an all-party constitutional review which we are told will look at top salaries and whether the Borough needs its current number of councillors. Greenwich’s sole constitutional reform so far is a mean-minded measure to make it harder for planning objectors to access councillors. Greenwich Leader Chris Roberts has said that he isn’t that keen on joint arrangements across Borough boundaries and prefers closer links with other public sector organisations in Greenwich, although I am not aware of any practical suggestions on what this might mean. Anyway Lewisham, our most obvious potential partner, perhaps scarred by the Blackheath fireworks debacle, inclines towards an alliance with Southwark and Lambeth. Not for the first time I am tempted to conclude that, if London is Europe, then Greenwich is Belarus. When considering what secondary school might best serve their child, parents often look to the Government’s performance tables for GCSE results. In recent years in Greenwich these have often been an embarrassment. One thing which has particularly needled the Town Hall has been the number of potentially high performing pupils from the Borough who have chosen to go to a grammar school in Bexley. Some years ago the council tried to combat this by an advertising campaign featuring well-known people who had been educated in the Borough exhorting others to “Get a Greenwich Education”. I remember in particular footballer Anton Ferdinand and Trudie “June Ackland from The Bill” Goodwin. While the posters told us when Anton had attended Blackheath Bluecoat School, they were too polite to tell us Trudie’s Eltham Hill vintage. On the same theme the rebuilt Crown Woods campus near the Bexley border will be split into four distinct units including Delamere School for “high-ability” 11-16 year olds and seemingly a grammar school that dare not speak its name. However the recently published results for 2010 are interesting. Just over 50% of pupils at Greenwich achieved five GCSE passes at A*-C Grade including English and Maths. This puts us in a lowly 29th place out of the 32 London Boroughs. At the same time it continues a significant upward trend from the nadir of 2007 when Greenwich was firmly at the rear with a 34% pass rate. So is the glass half full or half empty? 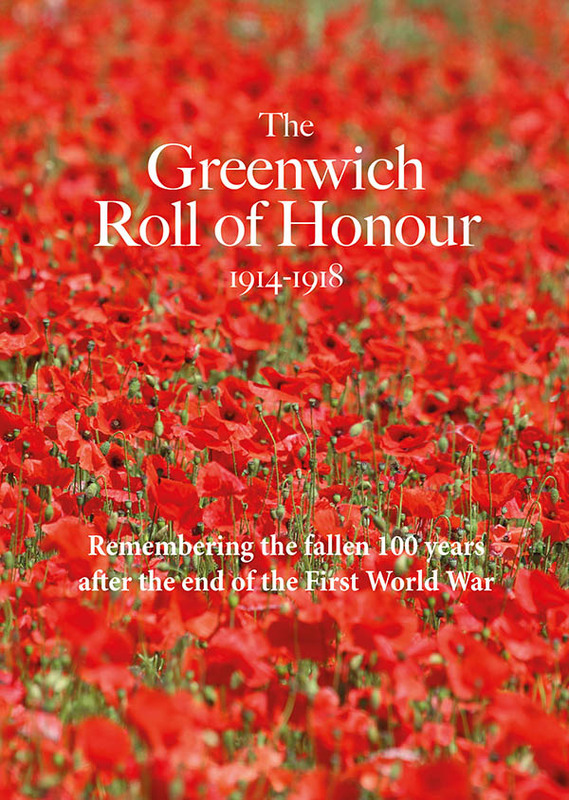 Greenwich Time has predictably concentrated solely on the improvement and ignored the raw figures, while Greenwich Conservatives provide an alternative, somewhat churlish, slant. I feel that while there is clearly a lot of scope to do better, things do seem to be moving in the right direction and that Greenwich officers and lead Councillor Jackie Smith(no relation to the former Home Secretary) have cause for some limited trumpet blowing. Department for Education results for all schools can be seen here. Paul Webbewood is a former Liberal Democrat councillor for the Middle Park and Sutcliffe Ward. While most Greenwich Council watchers are poring over the forthcoming cuts, other work goes on. The Planning Department has started the process of modifying the Council’s planning strategy. This is important because planning applications are unlikely to get approval if they involve a conflict with the land uses specified in the strategy. Accordingly the Council has published a Draft Core Strategy (DCS) and has invited comments on it. Greenwich Peninsula West is bounded by the River, Mauritius Road, Blackwall Lane and Tunnel Avenue. It includes the proposed liner terminal at Enderby Wharf. The area to the north from Morden Wharf to the Victoria Deep Water Terminal is designated to remain in industrial use. Charlton Riverside is quite a large area, bordered on the south by Woolwich Rd, on the east by Warspite Rd and on the west by the Angerstein railway line, although Angerstein’s Wharf itself and Christie’s Wharf next to it are still designated for industrial use. The Council wants to reduce the amount of retail space in this area, preferring to see this relocated to town centres. Why somebody has dreamt up the name Charlton Riverside for North Charlton is a mystery. The DCS claims that “employment land which is retained will be intensified so there will be no net loss of employment across the waterfront area” (Para 4.2.4). * A bizarre claim that Greenwich is one of the largest London Boroughs (Para 1.5.2). In fact at 5,044 hectares it is the 12th largest. * A proposal designed to stem the flow of pub closures by forcing applicants for a change of use to demonstrate that the site has been actively marketed as a pub for at least a year. * A policy to reduce car ownership by stopping residents of some new developments from getting on-street parking permits. The closing date for comments on the DCS is 5th February. The document is on the Council’s website and there are several public exhibitions arranged. The DCS is the first step in quite a long process before any new policies are set in stone. An amended document will be produced, followed by a second consultation and finally a Public Inquiry by a planning inspector. Looking at this, it appears that Greenwich is in the mainstream on total expenditure and the amounts paid to ward councillors, but that Council Leader Chris Roberts receives almost 25% more than the average for his job. Indeed the figure in the table is inflated by including the three elected Mayors. In the 29 Boroughs without elected Mayors, only two leaders seem to have done better than Mr Roberts. Now LC is effectively run on behalf of Council Leaders and cynics might say that its views on what they should get paid are about as valuable as those of a committee of sharks on bathing arrangements at Sharm el Sheikh. Indeed Chris Roberts received £10,000+ from LC in 2009-10 on top of his Greenwich Council money (as did many other leaders). “a full-time job, involving a high level of responsibility and now includes the exercise of executive responsibilities. It is right that it should be remunerated on a basis which compares with similar positions in the public sector, while still retaining a reflection of the voluntary character of public service“. This panel recommended that Council Leaders in London be paid a total of £64,864 per annum. I would agree with the principle set out by the panel but not necessarily with the amount they came up with. In practice almost all Councils choose to regard it as a ceiling rather than a direction - indeed Greenwich pays its councillors who are Cabinet Members significantly less than the LC recommendation for their role. However for Chris Roberts alone the letter of the law applies. Does Mr Roberts deserve more money then his peers in the rest of London? Well it is certainly true to say that Greenwich has a good record in keeping Council Tax low over the last decade or so, although it is difficult to disentangle how much of this is down to good housekeeping and how much to the effects of Government funding formulas. On the other hand Greenwich is consistently ranked as being below the London average in the quality of its services. I conclude therefore that, while Chris Roberts has displayed a basic level of competence as Council Leader since 2000, he is by no means a municipal superstar and his pay should be reduced to the London average. While a saving of £12,287 would only be a drop in the ocean in the Council’s current position, it would be a sign of the Council’s good faith and common sense as it starts to navigate the troubled waters ahead.